With more than a billion citizens, China is seen as both a great opportunity and a great threat to the entertainment industries, Holywood included. While China has traditionally been very reluctant to show ‘western’ movies, it has opened up in recent years much to the delight of the American movie studios. The problem, however, is that both physical and online movie piracy is rampant. Hollywood and the US Government have signaled this in the past, and with a booming local movie industry, China is now committed to taking action as well. Last week was the Chinese New Year, also known as the Spring Festival, which is generally a busy time at the box office. However, it’s also high time for pirates, which spurred the National Copyright Administration (NCAC) into action. The Copyright Administration called on the public to help and report instances of piracy through direct messages on Weibo, WeChat, and email. “Please provide infringement clues and clean up the online copyright environment. Let’s work together,” the Government outfit wrote. Piracy is a growing concern among Chinese filmmakers, especially now that the local movie industry is booming. 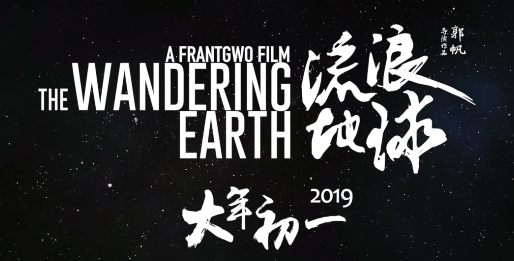 One of the widely pirated movies is the sci-fi blockbuster “The Wandering Earth.” The film premiered during the Spring Festival and broke records by grossing over 2 billion yuan (US$300 million). The makers are obviously happy with this achievement. Over the past few days, however, they were preoccupied with taking down links to pirated copies. Gong Ge’er, who heads the movie’s anti-piracy unit, says that they complained to the Government as well, the South China Morning Post reports. “In recent days, the staff of The Wandering Earth have not had time to celebrate the box office success, but have devoted almost all their energy to complaining to authorities about piracy and blocking pirated copies,” Gong told the Beijing Youth Daily. Compared to last year there was a significant drop in moviegoers during the Spring Festival. This is partly due to online. 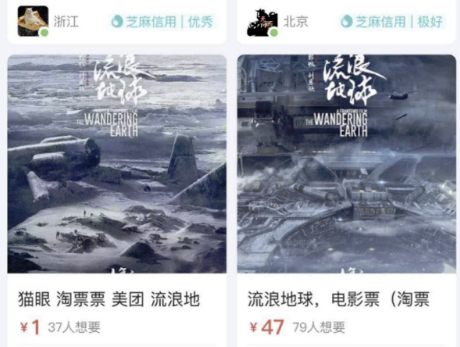 In addition, leaked copies of The Wandering Earth and other blockbusters were also sold online, starting at one yuan per copy. While piracy is certainly not a new phenomenon in China, it’s interesting to see that the authorities are calling on the public to help. And according to a recent update from the Copyright Administration, this has paid off. “All the infringement and piracy reports received through Weibo, WeChat, email, and other channels will be sorted out and handed over to the relevant copyright law enforcement agencies. We hope that the majority of users continue to provide relevant clues,” NCAC wrote. This will sound like music to the ears of the International Intellectual Property Alliance (IIPA), a trade group that also represents Hollywood’s interest. Just last week it informed the U.S. Government that China must step up its game to better protect the interests of copyright holders, listing some examples of problematic sites. “Traditional website piracy remains a major issue in China, causing significant damage to rights holders. Notorious piracy sites that disrupt the music and audiovisual marketplaces include zimuzu.tv, dytt8.net, 666c.com, sacdr.net, yymp3.com, musicool.cn, dy2018.com, xh127.com, b9good.com, dygang.com, loldytt.com, piaohua.com, bttt99.com, 80s.tw, meijutt.com, ygdy8.com, dysfz.vip, panduoduo.net, btbtdy.net, and lbldy.com,” IIPA wrote. Perhaps IIPA can address their concerns to the Chinese authorities directly as well, via Weibo, WeChat, or email.